Discover everything there is to know about The LEGO Ninjago Movie with this engrossing guide to its key events and characters. 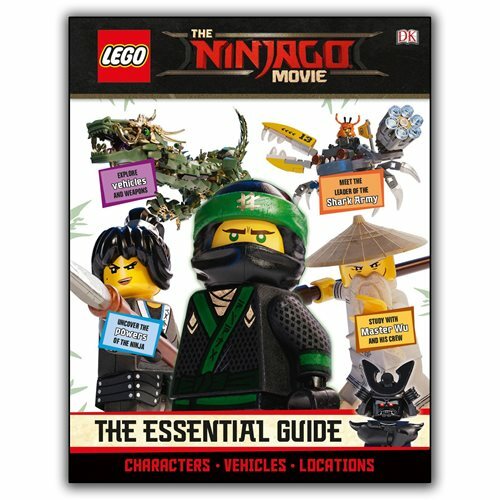 The LEGO Ninjago Movie The Essential Guide Hardcover Book explores all the heroes, villains, vehicles and locations, with lively and informative text and captions. With images from the movie, the book allows readers to relive the story. The 64 page book measures about 10 3/10-inches tall x 8 1/10-incehs wide. Ages 13 and up. LEGO 70829 The LEGO Movie 2 Emmet and Lucy's Escape Buggy! LEGO 70826 The LEGO Movie 2 Rex's Rex-treme Offroader!